We harvested these grapes in very late Oct - with a significant level of botrytis - yet still at a relatively low brix level, resulting in an aromatic and flavorful wine. 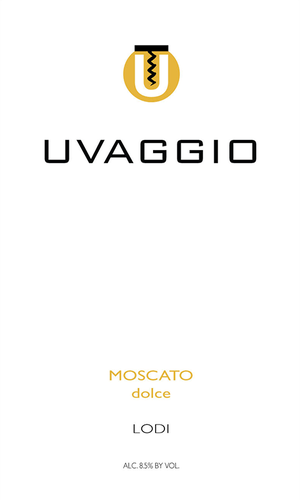 It is versatile as an aperitivo or to accompany a light dessert. Having low alcohol and a modest level of residual sugar, it is as interesting as it is expressive. It was cold fermented using a yeast strain selected for this style of wine and without a malo-lactic conversion. Post fermentation it was clarified, fined, racked for additional clarity, followed by filtration to bottle. Our descriptors: perfumed and intriguing; lively flavors of candied ginger and ripe tropical fruits like mango, papaya and star fruit.